We are a renowned Screen Printing Machine Manufacturer, Exporter & Supplier in Faridabad, Haryana. 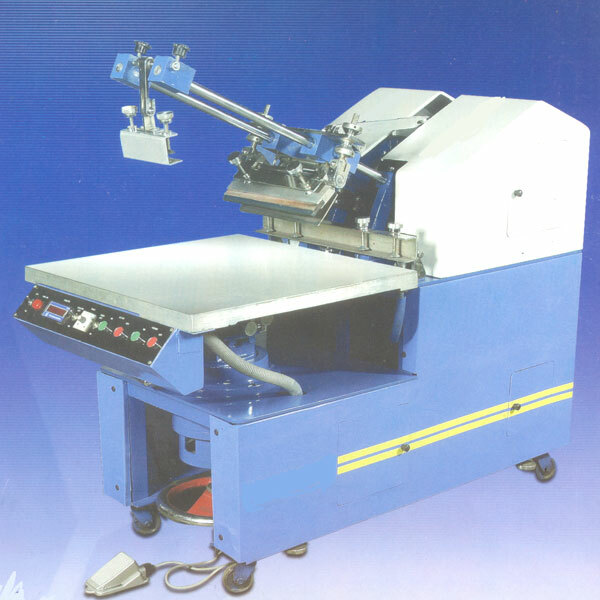 The Screen Printing Machine that we offer is mechanical operated device. Completely economical to use, the high speed Screen Printing Machine that we offer is semi-automatic. Additionally, the Screen Printing Machines do not require air compressor. Printers get wider space for loading the paper. We also customize Screen Printing Machine as per the specifications given by the clients.